Shelton, CT—Richard Thomas Meehan decided to specialize in criminal law the day he saw his father win a big verdict. Nearly four decades later, Meehan has received a great level of success and has received numerous accolades for his zealous trial work. 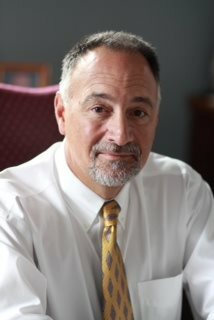 He is a fellow of the American College of Trial Lawyers- named one of the top 100 trial lawyers in Connecticut and of the International Academy of Trial Lawyers, limited to the top 500 litigators in the United States. His skill and achievements have led him to also be certified as a Criminal Trial Specialist by the National Board of Trial Advocacy. However, according to Meehan, those same systems can also be used to the defense's advantage when a defendant is innocent. “I represented a fellow who had once been convicted of stalking a former lover. She continued to try to have him arrested each time there was a chance encounter,” he recalls, saying that in one of these arrests, the accuser said the defendant had pulled up behind her at a gas station. When the video from the gas station came out, though, it showed something different: “The video showed her actually pulling into the gas station, apparently having recognized his car, and then she pulled out in front of him and called her friend, who was a local cop, complaining that he was right behind her,” Meehan says. The state dropped the pending cases against his client. Most recently, Meehan has come to the forefront of criminal litigators in the State of Connecticut as lead counsel to Bridgeport’s Mayor Joseph Ganim in defense of a 24-count federal public corruption indictment. Outside the courtroom, Meehan, together with members of his family, founded the Christian Meehan Hope Foundation for SIDS in recognition of his infant grandson, Christian Tomas Meehan, who succumbed to SIDS in 2003. He also considers himself an avid sportsman - accomplished flyfisherman, boater and motorcycle enthusiast. To learn more about Richard Meehan and his practice click here.